"American Ninja Warrior" returns to Atlanta, Georgia where the top 30 competitors from the City Qualifier tackle an even more challenging course that includes ten obstacles in the City Finals. In addition to the six already difficult obstacles from the Atlanta Qualifier, contestants will also face the Salmon Ladder, Floating Monkey Bars, The Clacker and Invisible Ladder. Top competitors Neil "Crazy" Craver, Drew Dreschel and Travis Rosen will take on the course. 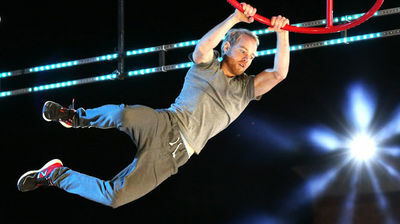 The competitors will vie for a chance to compete in the Las Vegas finals, to win a cash prize of $1,000,000 and the title of "American Ninja Warrior." Matt Iseman and Akbar Gbajabiamila hosts as Kristine Leahy co-hosts.